For the first 15 years after the Clinton administration shepherded China’s accession to the World Trade Organization, China consistently flouted its obligations to uphold even the most basic tenets of fair play in the global trading system, such as honoring and protecting intellectual property rights. Yet the wise men and women of Washington’s trade and economic policy establishment largely turned a blind eye, perversely arguing either that China’s outlaw behavior helped the U.S. economy by keeping prices low or that the effects were inconsequential. Moreover, they feared that even criticizing China’s unfair trade practices, much less pushing back against them, would spark a protectionist backlash domestically. Well, guess what? It was precisely this blasé attitude and lack of any real action to hold China accountable that ended up precipitating a protectionist backlash. Indeed, the frustration of millions of voters, especially in Midwestern swing states whose manufacturing economies were hurt by the competitive consequences of unfair Chinese trade practices, was critical in putting President Trump in the White House, as MIT’s David Autor has documented. For unlike Hillary Clinton, Trump gave voice to these voters’ concerns and pledged to take action. Now that Trump is attempting to make the Chinese play by the rules, many in the Washington establishment are panicking. They argue that the trade war that China started and Trump joined will spiral out of control, leading to protectionism – if not complete isolationism – and an overall deterioration of the global trading system. 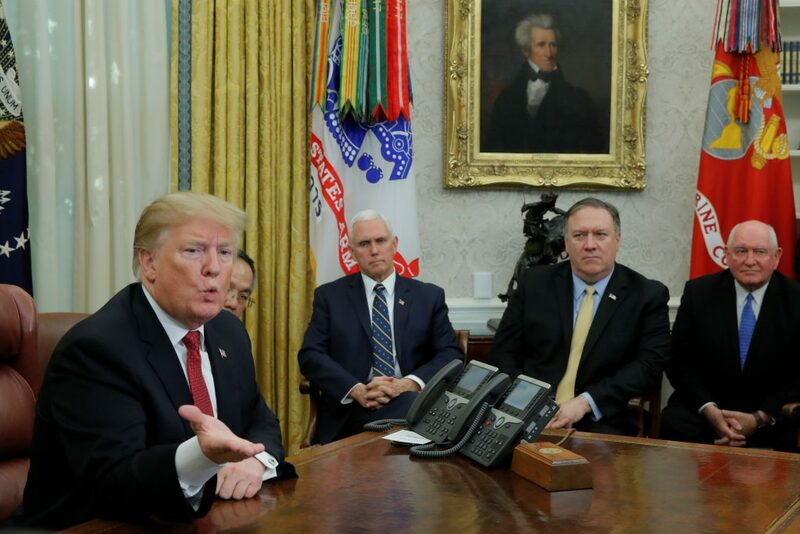 But rather than direct their ire at the Trump administration’s faulty tactics – tariffs, imposed unilaterally – many are missing the target and attacking the goal itself by attempting to minimize the past, present and future harm that will come from China’s by-any-means-necessary strategy for achieving global preeminence in strategically important industries. In fact, many elite policy mavens argue that if there is any problem with competitiveness, then it’s our own fault for failing to improve things such as K-12 schools and infrastructure. But there is quite a lot to see here. In violation of its WTO obligations, China bestows massive subsidies to fortify domestic tech companies; it demands that international competitors enter into joint ventures with Chinese firms at the price of doing business in China; it picks the pockets of foreign firms to acquire valuable trade secrets; and it favors Chinese companies in its domestic marketplace. Indeed, through cybertheft and old-fashioned corporate espionage, the Chinese government has stolen massive amounts of U.S. technical knowledge – the “greatest transfer of wealth in history,” according to former NSA director Keith Alexander. This matters because global markets for advanced technology industries are largely fixed and contestable, such that Chinese gains come at the expense of their foreign competitors’ market share and jobs. So, when Chinese President Xi Jinping unabashedly trumpets the goal of making China the “master of its own technologies” and backs that up with a powerful, unfair arsenal of state policies, there should be no doubt that it poses an existential threat to the U.S. technology economy. Rather than dismiss the threat Chinese innovation mercantilist practices pose to the U.S. economy, jobs and national security, the Washington establishment needs to publicly acknowledge that the threat is serious and that China needs to be confronted – not only to protect the U.S. economy and national security but also to save the very soul of the global trading system. Only then can we engage in a productive critique of the Trump administration’s tactics, including its over-reliance on tariffs and its unwillingness to assemble a global coalition of the willing to pressure China to reform. Denying that China’s actions pose a grave threat and placing the blame on ourselves will only fan the flames of protectionism and cause even greater harm.